principal at New Milford High School (NMHS) in NJ, where he oversaw the successful implementation of several sustainable change initiatives that radically transformed the learning culture while increasing achievement. Sheninger’s work focusing on leading and learning in the digital age led to the formation of the Pillars of Digital Leadership, a framework for driving sustainable change to transform school cultures. As a result he has emerged as an innovative leader, best selling author, and sought-after speaker. He is a Bammy Award winner (2013), NASSP Digital Principal Award winner (2012), PDK Emerging Leader Award recipient (2012), winner of Learning Forward’s Excellence in Professional Practice Award (2012), Google Certified Teacher, Adobe Education Leader, and ASCD 2011 Conference Scholar. 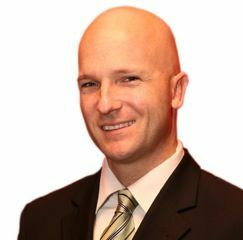 Sheninger has authored and co-authored several books; contributed on education for the Huffington Post; co-created the Edscape Conference; sits on the FEA Board of Directors; and was named to the NSBA “20 to Watch” list in 2010 for technology leadership. TIME Magazine also identified him as having one of the 140 Best Twitter Feeds in 2014. His blog, A Principal’s Reflections, was selected as Best School Administrator Blog in 2013 and 2011 by Edublogs. Darlynn Alfalla, School Technology Specialist /Teacher, Wagner Middle School, New York, NY. Darlynn Alfalla is a School Technology Specialist. In addition to her responsibilitiesoverseeing the technology department at Wagner Middle School in Manhattan since1987, she is also a teacher of computer education and math. She has a B.S. in Manufacturing Engineering from Boston University, a M.S. in InstructionalTechnology from New York Institute of Technology and an MSED in Administrationand Supervision from Baruch College –School of Public Affairs. She is a member of the NYCDOE Social Media Affinity Group, Google Educators Group NYC and Graphite Accelerated Educators Group. Additionally, she serves as the school's technology Single Point of Contact for the NYCDOE and is the Mouse Squad Faculty Advisor. This past summer Darlynn became a Certified Digital Citizenship Educator, a Google Certified Educator, as well as a Graphite Certified Educator. She is also a Certified SmartBoard User. Matthew Alpaugh (@MatthewAlpaugh), Chief Strategy Officer, Morris Catholic High School, Denville, NJ. Matthew Alpaugh is the Chief Strategy Officer and Director of Advancement and Technology at Morris Catholic High School. Currently in his eighth year at Morris Catholic, Matt has worked on projects ranging from the implementation of a BYOD program, technology and communication student internships, digital media marketing, strategic planning and is currently running his first capital campaign. Matt is a graduate of Morris Catholic, and enjoys making music, being an amateur craftsman and working on his house with his awesome wife Rebecca. Chris Aviles (@techedupteacher), Teacher, Barnegat High School, Barnegat, NJ. Chris Aviles teaches Sophomore English at Barnegat high school in Barnegat, NJ. He is a Google Certified Teacher, Google Education Trainer, Google Education Group: New Jersey Leader, Schoology's Teacher of the Year, and runs techedupteacher.com. Sean Beavers (@TheEdTechBeaver), Digital Information Specialist, West Morris Regional High School District, Chester, NJ. Sean is a former fourth and fifth grade math, science, and language arts teacher with an insatiable passion for technology ever since he laid his hands on an Apple IIe. Currently, he works for West Morris Regional School District as their digital information specialist. In this capacity he is responsible for helping spearhead district technology initiatives, supporting teachers and students through professional development opportunities, and promoting a school culture of innovation through technology. In addition, Sean is a Google Certified Teacher, Google Education Trainer, Microsoft Innovative Educator, and co-host of The State of Tech podcast. Marilyn Blackley Christine Boyer (@5Boyer), Teacher, Scarsdale Schools, Scarsdale, NY. Christine Boyer is a 5th grade teacher in Scarsdale at the Heathcote Elementary School. She has been hard at work re-vamping the curriculum to incorporate design thinking and "making" wherever possible. She recently transformed a dusty storage space into a vibrant makerspace. A big believer in community, Christine led an effort to have older students teaching younger students in the computer lab & makerspace last year. Walter Brown @wbrownhhs, Assistant Principal, Hudson HS of Learning Technologies, NYC DOE, NY. Graduated from St. John’s University, and Queens College spent the first 19 years of his career as a classroom teacher, before moving into an administrative position at Hudson HS of Learning Technologies. Selected as part of a team of educators to work as a founding member of Hudson High School by founder Nancy Amling. Hudson HS, a one-to-one device school that incorporates blended learning into all subject areas. Timothy Comer, Teacher , Hudson High School of Learning Technologies, New York, NY. Brad Currie (@bradmcurrie) , Supervisor of Instruction/Dean of Students , Chester School District, Chester, NJ. Brad Currie is passionate about personal learning networks (PLNs), educational technology and social media in the school setting. He began his career as a middle school social studies and computer education teacher for the Hanover Township School District in Whippany, NJ. He then transitioned to the field of administration in 2009 as a middle school vice principal/athletic director for the Readington Township School District in Whitehouse Station, NJ, before assuming his current position with Chester School District. He is a 2014 ASCD Emerging Leader and author of the book All Hands on Deck: Tools for Connecting Educators, Parents, and Communities. Currie is an avid blogger, an enthusiastic presenter, and the co-founder and co-moderator of #Satchat, a weekly Twitter discussion taking place every Saturday morning for current and emerging school leaders. Learn more at his website, www.bradcurrie.net, or by following him on Twitter @bradmcurrie." Jay Eitner is a proud product of the New Jersey public schools. He began his teaching career in Roselle, NJ, teaching a variety of subjects, including social studies, computers, and literacy. Known for thinking ‘outside of the box’ and for strong technology infusion, Eitner strived to make a learning environment that was both student centered and data driven. He received his Masters Degree in 2004 and was hired to teach 8th grade social studies in the nationally recognized East Brunswick Public Schools. During his time in East Brunswick, Eitner wrote and received over $140,000 in grants for his students, involving everything from podcasting equipment to creating a fully interactive gold rush experience. He obtained his supervisor, principal, and school administrator certificates in 2009. Since then, he has served as a middle school assistant principal, a K-12 supervisor of social studies and, currently, as superintendent for The Lower Alloways Creek School District. He has presented a series of workshops on digital leadership, technology infusion, and student achievement for grades K-12. You can follow him on Twitter or read his blog at jayeitner.com. Matthew Fitzpatrick (@EdgewoodArtRoom), Art Teacher , Edgewood Elementary School, Scarsdale, NY. Matthew Fitzpatrick is the K-5 art teacher at Edgewood Elementary School. A strong proponent of the makerspace movement, he has experience teaching Adobe Suite software, LEGO Robotics, makerspace and coding classes. His philosophy of education focuses on preparing students for future careers not yet imagined. Fitzpatrick develops curriculum that not only illustrates the basics but challenges students to think problems through using new concepts and materials. His mission is to bridge the gap between the physical creation and manipulation of materials and their relationship with the most current technology. Laura Fleming (@nmhs_lms) , Library Media/Technology Integration Specialist , New Milford High School, Oakland, NJ. Laura Fleming has been an educator in the state of New Jersey for the past 16 years – as a classroom teacher, a media specialist in grades K-8 and currently as a library media specialist for grades 9-12. She has played a prominent role in education as a writer and speaker for events that focus on next-generation teaching methods and tools. Recently, Fleming created a digital badge-based professional development platform that can be found at www.worlds-of-learning-nmhs.com. Her library makerspace has garnered national attention and has served as an inspiration for schools across the country. She is also a consultant for The Educator Collaborative and a recipient of the National School Boards ‘20 to Watch’ in Educational Technology Leadership for 2014. Her goal is to create learning experiences that empower and equip students with necessary skills to effectively produce and consume content across multiple media platforms – and to enable educators and cohorts to apply these approaches in their fields of expertise. Jennifer Gunn (@jenniferlmgunn) , English Teacher & Senior Team Leader , Hudson High School of Learning Technologies, New York, NY. Jennifer Gunn is a progressive English educator at Hudson High School of Learning Technologies in Manhattan (www.hudsonhs.com). After working as a writer and editor in the magazine industry for 10 years, she now teaches English, journalism, digital storytelling and creative writing to students from all five boroughs of New York City. A true believer in innovation, experimentation and student voice, Gunn co-created Hudson's Big Idea Project, a student-driven, passion-based research project for seniors, which has been featured in numerous articles and in a small documentary by Awake Storytelling. She has presented at the Digital Ready Summer Institute and at Educon in Philadelphia on competency-based grading, student ownership of learning and passion-based learning and teaching. Find Jennifer on Twitter or www.msgunnsclass.com. Joel Handler (@jhandlerHTPS) , Director of Technology , Hillsborough Board of Education, Hillsborough, NJ. Joel Handler has been a director of technology for 10 years. He holds two masters degrees, one in Computer Science and another in Educational Administration from Rutgers University. He has presented at numerous conferences, including ISTE 2014, BETT London, NY and NJ Google Apps Summit, and has participated in numerous online Google Hangouts for Education. He has implemented a complete 1:1 program, issuing over 4500 Chromebooks and 3000 Nexus tablets to everyone in grades K-12. Under his leadership, the district has made great strides in technology integration in a short amount of time, thereby transforming the delivery of instruction and the learning of all students. Erica Hartman (@elh) , Supervisor of Technology Integration, West Morris Regional School District, Chester, NJ. Prior to assuming her current position in the West Morris Regional School District, Erica Hartman taught language arts for 9 years at Sparta Middle School and was an educational computer specialist in the Morris Schools. In 2007 she completed her Master’s in Technology Education from New Jersey City University and her Certificate in E-Learning and Online Teaching at the University of Wisconsin. She is a Google Certified Teacher and Apps Certified Trainer who has presented at a number of professional conferences in New Jersey and New York. Hartman also consults for CUE and for the Center for Mathematics, Science and Computer Education at Rutgers University and has presented at the Google Teacher Academy in Chicago, New York, Boulder, and Seattle. David Held (@dheld) , Director of Technology , Poughkeepsie Day School, Poughkeepsie. NY. David Held has been the technology director at Poughkeepsie Day School since 2002 and has worked in the field of educational technology for 20 years, including Teachers College, Columbia University. He also teaches Art and Technology classes in which students construct interactive art projects and a Design Thinking class that utilizes 3D printing." Debra Jackson, Superintendent of Schools, Highland Falls-Fort Montgomery CSD, Highland Falls, NY. Engaging “otherist” voices energizes Debra Jackson in her role as superintendent of schools. She enjoys sharing her beliefs about organizational change and critical theory to shift the dialogue in schools. Her district's work in inquiry-based learning is an example of engaging voices with technology to define a strategic shift in the pathways for student learning. Her diverse experiences in teaching and leadership include twenty-two years as a superintendent of schools (five of them in Highland Falls-Fort Montgomery CSD and 17 of them in other districts in New York and New Jersey) as well as experience as an adjunct professor at SUNY, a curriculum coordinator, a principal and an art educator. Eileen Lennon, Instructor , MS72 Catherine & Count Basie Middle School, Rockaway Point, NY. Eileen Lennon, a technology instructor for over 10 years, currently works at the Catherine & Count Basie Middle School in Queens. When she is not troubleshooting problems in the building, she has developed a curriculum that guides her middle school students from basic tasks in Word to mastering Web 2.0 skills. She has recently added coding to her curriculum. From the basic blocks of coding, the students have created their own games and interactive projects. She presented her work at the New York Department of Education Technology Summit this summer. She is currently working towards her School Leadership & Technology Certificate at the New York Institute of Technology. Brandon Lutz (@blutz01), Technology Applications Specialist , Bucks County Intermediate Unit, Doylestown, PA .
After 14 years in the education profession, Brandon Lutz’s role continues to evolve. Following years as a K-8 technology teacher and an instructional technology coach for the School District of Philadelphia, he has most recently put his experience to work as the technology applications specialist for the Bucks County Intermediate Unit. In his current role, he works with and provides presentations for administrators, technology directors and teachers to integrate technology in Bucks County and beyond. In addition, Lutz currently serves as the vice-president of PAECT, the program chair for PETE&C, a contributing member on the PASCD board, and a captain for the ISTE program committee, and is always on the lookout for the latest and greatest web tools to include in his popular 60in60® presentation. Sheri McNair (@ladybug527) , Library Media Specialist, James I. O'Neill High School, Highland Falls/Fort Montgomery, NY. Sheri McNair is the head of library services for her district, overseeing the library curriculum instruction grades K-12. In addition to teaching information literacy and technology integration at the high school, she also serves on the district’s technology team and the inquiry facilitation team. She has taught many technology integration/social media professional development classes to teachers and fellow librarians, and is in the process of transforming the existing traditional high school library space into a 21st Century Learning Commons. McNair is a member of NYSCATE, NYLA/SSL, SLMSSENY, and the Orange-Ulster Regional Library Council. She also serves on the Advocacy Board for the Council, the planning team for the annual NYLA/SSL Conference to be held in April 2015, on the Social Media Team for the 2015 Hudson Valley NYSCATE Conference, and is currently the treasurer of SLMSSENY. Shannon Mersand (@ShannonMersand), School Media Specialist , Yorktown High School, Wassaic, NY. Shannon Mersand is a school media specialist at Yorktown High School. She holds a Bachelors in Information Science and Policy with minors in English and Education Studies, as well as a Masters of Library Science and a Masters in Curriculum Development and Instructional Technology, as well professional certification in English Language Arts , 7-12, and as a K-12 library media specialist. She has taught in a number of capacities in multiple districts, and in her role as school media specialist, has worked with teachers from all disciplines to integrate information literacy and technology into the curriculum. Mersand has presented at district, local and state conferences on the integration of technology in the curriculum. In 2011, she was named the Lee Bryant Outstanding Teacher of the Year by theNew York State Association for Computers and Technology in Education. She is a Google Educator, qualified in Google Apps and Google Chrome. Lisa Nielsen (@InnovativeEdu) , Director of Digital Literacy + Citizenship , NYC Department of Education, New York, NY. In her role as director ofdigital literacy + citizenship in the Division of Instructional + Information Technology at the NYC Department of Education, Lisa Nielsen collaborates with external partners as well as internal stakeholders including students, teachers, and parents to build capacity in using digital media effectively and responsibly across the DOE. To do this she creates and provides customized professional development and support in using digital media that enhances teaching, leading, connecting, and building learning networks in accordance with the DOE’s current and future guidelines and policies. This work is supported by spaces she has created to enable like-minded educators to stay connected by communicating, collaborating, and connecting via online communities. theology at Union Theological Seminary. Jaclyn Patanio (@jackiepatanio) , Technology Coach , PS 16, Staten Island, NY. Prior to assuming her current position Jackie Patanio was a classroom teacher for 6 years in an ESL and ICT class settings. Her passion for technology and professional development led her to pursue a Master's Degree in Instructional Technology and Educational Leadership. As a teacher and coach she has been providing professional development on utilizing web 2.0 tools throughout content areas, online collaboration, digital citizenship, creating a positive digital footprint, parental involvement and digital literacy skills. She has been working on projects at PS 16 that include online surveys and polling for student check-in, lesson planning, differentiated professional development, and grant-supported work with students and classroom teachers to create a documentary on the diversity of Staten Island. She has been showcasing her school as a "technology forward school", working on a technology plan with expectations for all grades, K-5. She has been PS 16’s SPOC, a liaison for a Title II D Technology Grant, panelist and presenter at DIIT events, curriculum writer and a member of the administrative cabinet. She is in the processes of becoming a Google Certified Educator as a member of the first cohort in New York City. Sandra Paul (@spaul6414), Chief Technology Officer, Sayreville Public Schools, Sayreville, NJ . Presently I am working as CTO for the Sayreville Public Schools. Sandi Paul has 14 years of experience as a technology director and prior to that, was a computer science and business education teacher for five years. She was chosen as administrator of the year by NJASL in 2007, a Bammy Award Finalist in 2014 and one of the Top 30 Technologists, Transformers and Trailblazers by the Center for Digital Education. She has presented at many conferences in the Tri-Sate Area including keynoting at the Metuchen Diocese Technology Conference in NJ. She is the chairperson for technology advocacy for NJAET, past vice chairperson on the board for ESAC - Channel 13 (WNET), a founding organizer for EdcampNJ, a member of the emerging technology committee for CoSN, and a member of ISTE and ASCD. Mackey Pendergrast (@WMRsupt) , Superintendent of Schools, West Morris Regional High School District, Chester, NJ. Before becoming superintendent of the West Morris Regional High School District, Mackey Pendergrast served as the district’s director of staff development for seven years. He recently presented at the NJ 1:1 Institute Summer Conference and the NY/NJ Google Summit and also participated in the Summit Steering Convening in Washington DC in support of the Office of Technology’s ConnectED initiative. Previously, he has presented at various conferences including the International Baccalaureate Conference of the Americas and at a Garden State Coalition Conference. Exploring a theme of innovation in teacher training, he also authored an article in Educational Viewpoints titled “Disruptive Professional Development.” Prior to working as an administrator, Pendergrast taught high school history for fifteen years in the Summit Public Schools and also at West Morris Mendham High School where he received the NJ School Boards Leader Award (2001) and the ING Unsung Heroes Award for creativity and innovation in classroom instruction. The West Morris Regional High School District is an inaugural member of the NJ Department of Education’s innovateNJ community." Paul Sanfrancesco (@psanfran19) , Director of Technology, Owen J Roberts School District, Pottstown, PA. In addition to serving as the director of technology at Owen J Roberts School District in the suburbs of Philadelphia, Paul Sanfrancesco teaches as an adjunct professor in the Graduate Education Department at Saint Joseph's University in Philadelphia and Neumann University in Aston, PA. He was named as one of the “20 to Watch” Educators for 2008 by the National School Boards Association for his work in IT. Prior to his current position, he was director of technology for the 200+ schools of the Archdiocese of Philadelphia. He has served on Dell's K-12 Platinum Council for the past eight years, has done presentations for numerous educational technology conferences, and serves as a technology consultant for William H. Sadlier, Inc.
Lynne Shain , Assistant Superintendent for Curriculum and Instruction , Scarsdale Public Schools, Scarsdale, NY. Before assuming her current position in 2008, Lynne Shain served for 14 years as assistant superintendent for curriculum and professional development at the Westport, CT Public Schools. Among her achievements at Scarsdale, she has overseen the implementation of Singapore Math in the elementary schools, and encouraged staff collaboration to further the vision of Scarsdale Education for Tomorrow, focusing on performance-based assessments and project-based learning, an inquiry approach in science and social studies, and interdisciplinary learning. She is also co-director of the newly-established Center for Innovation, the first think tank for K-12 education to be sponsored by a public school district. Shain has worked with researchers at Teachers College (Columbia University) to establish the Global Learning Alliance, which is examining the work of students in top-performing schools around the world, both public and independent. Samantha Smith (@edtechsmith) , K-12 Technology Integration Coach , Red Lion Area School District, Red Lion, PA.
Often called passionate about technology integration, Samantha Smith helps support 400+ teachers in a technology-infused rural school district in south central Pennsylvania. Always willing to share, she has been granted opportunities to present on numerous occasions to new teachers at Technology Collaboration days, held at the county level, as well as at the Pennsylvania Education and Technology Expo State Technology Conference. Most recently, she ran two demo sessions in June at the ISTE conference in Atlanta. She covers topics ranging from differentiation with technology, getting started right with technology, everything and anything Web 2.0, digital citizenship and Google, to name a few. Timothy Smith (@timothy_smith) , Assistant Principal , Red Lion Area School District, Red Lion, PA.
Tim Smith has been an educator for over 15 years. After being a high school social studies teacher, he served four years as an assistant elementary principal and is currently an assistant junior high principal. He has presented at local and statewide events on topics such as technology integration in the classroom and using social media to leverage professional learning. In addition, he continues to challenge the mindset of administrators, leading a digital leadership book study via Twitter this summer that encourages them to break away from "that's the way we've always done it" mentality. Mike St. Pierre (@thedailysaint) , President , Morris Catholic High School, Denville, NJ. As president of Morris Catholic High School, Mike St. Pierre is responsible for strategy, mission, finance and planning for the school. He successfully designed and implemented a 1:1 iPad program, helping Morris Catholic earn the 2012 Optimum Lightpath Innovation Award. He will be the featured guest for the September edition of Productive Magazine, has published numerous articles, and is a sought-after speaker in the area of technology and innovation. Follow him on Twitter or through his website at www.speakdigital.org. Clare Taylor (@Clare3t) , Teacher , Louise Duffy Elementary, West Hartford, CT.
Clare Taylor began her teaching career in West Hartford after 20 years in media and marketing. Her business foundation gave her a unique perspective in creating real-world tasks that she brought with her to the classroom in. In almost every unit, she allows students to select their own topic and final product. Taylor has won awards for her service learning projects that have 5th graders going out in the world to make a difference. She is a winner of the NEA Innovation Award, CEA Award for Teaching Excellence, and two-time winner of the CECA Technology Integration award. Students in her class regularly write press releases and speak in public about the exciting things happening in school. When she sits back and watches her students interact with adults and run the show, she knows she has taught them well. She empowers them to ask questions and seek out opportunities for community projects, awards, and student competitions that garner positive public attention. Andrea Tejedor (@astrategicshift) , Director of Innovation & Instructional Technology , Highland Falls-Fort Montgomery CSD, Highland Falls, NY. Dr. Andrea Tejedor is an educational technology steward, supporting K-16 educators making a strategic shift to leverage instructional technologies for student learning and teacher professional growth. She is from the Hudson Valley in New York State and has a Masters in Elementary Education from Mount Saint Mary College, a Master of Arts in Education (Instructional Technology) and a Doctorate in Education (Leadership, Management & Policy) from Seton Hall University. As an educator, researcher and consultant, Tejedor presents internationally on visioning and leadership in the educational technology arena. She enjoys tinkering with technology for learning (http://astrategicshift.edublogs.org/) and traveling, most recently as a Fulbright Fellow for the U.S. Department of State Exchange with administrators from Brazil. Paul Tomizawa (@paultomizawa), Head Elementary Computer Teacher , Scarsdale Public Schools, Scarsdale, NY.